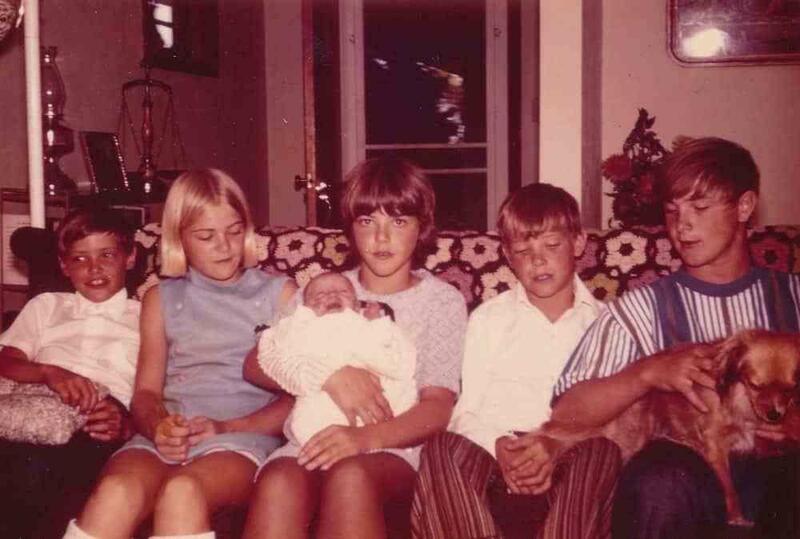 The DeMoe siblings in the 1960s, from left to right, Dean, Karla, baby Jamie, Lori, Doug and Brian. The family participated in groundbreaking research at the University of Pittsburgh. Listen to an extended version of 90.5 WESA's interview with author Niki Kapsambelis and neurology professor William Klunk. Note: This contains spoilers for the book. "The Inheritance" is a new book by Pittsburgh-based writer Niki Kapsambelis. 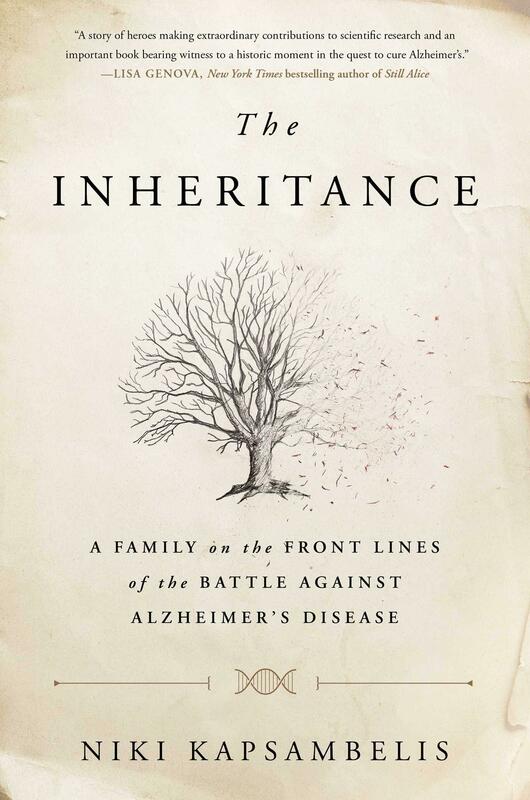 It tells the story of the DeMoe family from North Dakota, who carry a rare genetic mutation that guarantees they will get Alzheimer’s disease at a young age. The DeMoes have been integral to strides made in Alzheimer’s research over the past several decades, including advances made here, at the University of Pittsburgh. 90.5 WESA’s Liz Reid spoke with Kapsambelis and will Dr. William Klunk, co-director of Pitt’s Alzheimer’s Research Center. Klunk is credited with helping to develop a method for imaging Alzheimer’s in the living brain, something that wasn’t possible before his team’s discovery in 2002. LIZ REID: Niki, I want to start with you. Tell me about the first time you met the DeMoe family. You were just planning on writing one news article about them is that right? NIKI KAPSAMBELIS: Yeah, I met them in April 2009. I actually was hired by Dr. Klunk's group to write an article about them for a newsletter. They are a really remarkable bunch. They're unique in their approach to life. Very humble, funny, down-to-earth people. They really make you feel at home, but what they're doing is so extraordinary in contrast to that. 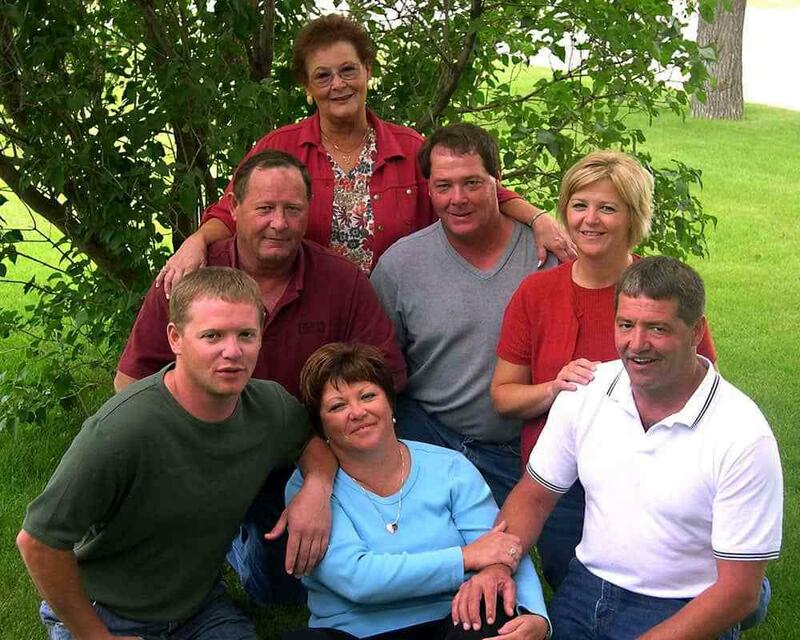 The family has a mutation that gives them early onset Alzheimer's, and it's a little bit different from what we think of in the general population. If you have this mutation, you're guaranteed to get it and you are, I believe, pretty much guaranteed to get it young. They typically develop symptoms in their 40s and they pass away in their 50s. And then they also have a 50 percent chance of passing it on to their children, which they found out after they already had children. REID: And so Dr. Klunk, what then makes someone with this mutation good for doing research? WILLIAM KLUNK: The goal for Alzheimer's research over the past decade was to push intervention earlier and earlier. So we look for biomarkers of the disease earlier and earlier, before the typical symptoms are present. But if you do this in the general population, you don't know if you're doing it in someone destined to get the disease or someone not, so you don't know what your findings mean at that time. And these people, you know who's going to get disease, like Niki said, and who's not. So you can compare them directly and you have a much better way to interpret the results you get. REID: You tested many members of the DeMoe family for the mutation, and for the most part you wanted to tell them in person. So they would fly out from North Dakota or Wyoming or Colorado or wherever they were at the time and you would deliver the news in person. Why? 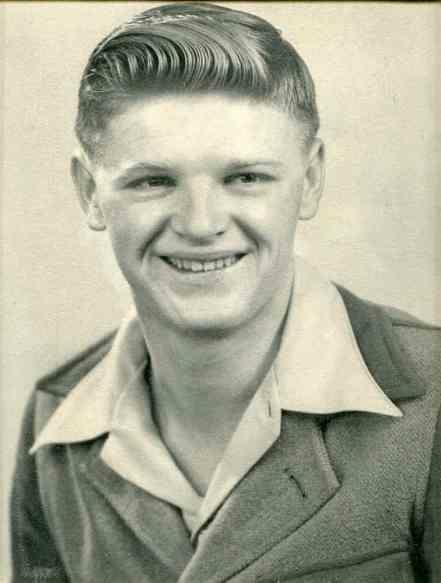 Family patriarch Galen DeMoe's high school graduation photo. KLUNK: Well, you know, that's just a standard part of the genetic counseling. You don't call someone up and leave a voicemail saying you have a mutation that will guarantee you you'll die from Alzheimer's disease when you're in your late 40s or 50s. You know, it's a whole process, it's not just telling them what the results of the tests were. We first sit down with them at the same table and talk about whether they really want to get the test. We try to bring up things that they may not think about. You know it may have this implication. What about long term care insurance, what about this what about the what about having kids. What if you're negative. You know, that doesn't come without feelings also. And we try to have them sort of, let's say, think through a day believing that you're positive and then think through a day believing that you're negative, and you're telling us you want the test today and we'll draw the blood and we'll get the test results back. But before you (get) it, you'll get another chance to say yes or no, I want these test results back. And then we impart the information be it happy or sad and then we talk about what that means for that person and, it's a whole process, it's not just sitting down and telling them. REID: You know, as I was reading the book there were a lot of moments that sort of choked me up. When you were writing this book when you were sort of intertwined in this family, did it feel as tragic in the moment as it sometimes feels as a reader? KAPSAMBELIS: Absolutely. You know, I worked on this book for five years, and when I first started it you try to be detached, because as a journalist that's what you're trained to do. And it's impossible to spend this much time with people like this who are going through this situation who were willing to tell you every detail about their lives and not be impacted by it. You cannot do it and keep them at arm's length. REID: Would you want to know, would you want to take the test? KLUNK: Well, what I tell people is what I believe, and that's I would want to know if the answer made a difference to a decision I needed to make. If it didn't, given the lack of curative treatments we have now, and certainly, you know, in the very early ages, you know people sometimes ask well, should we genotype of child birth. No. You know, I think a child deserves to live free from as much knowledge of that as they can avoid until they can't avoid it, given the current circumstances. REID: Did you think about this Niki? The DeMoe siblings, all grown up, surrounding their mother, Gail. Clockwise from the top: Doug, Karla, Dean, Lori, Jamie and Brian. KAPSAMBELIS: Yeah, actually when I first started working on it I was of the mind that I would want to know. I was actually pretty certain about that. But the longer I spent with people who were finding out or who were living with the news one way or the other I actually ended up changing my mind about that. Because what I learned from this family was the power of living in the moment and appreciating your life for what it is and not for what you think it's going to be 10 years from now. Which ended up being actually a great gift that they gave me. REID: President Obama's administration released the National Alzheimer's plan in 2012 with the goal of finding a way to prevent and effectively treat the disease by 2025. And we're now just eight years away from that. Do you think that's likely to happen? And do you have any idea what might happen to federal funding for Alzheimer's research under President Trump? KLUNK: The currently proposed budget includes a cut for the National Institutes of Health and all the research that occurs there. How that will apply specifically to Alzheimer's disease, I don't know. But in order to get from where we are to where we need to be from 2025 we need more funding than we have today. We need to be able to fund bigger studies that are large enough to definitively answer the questions that we need to ask. But I think there's risk that that won't happen, given the budget that we've recently seen. REID: So is 2025 doable in your mind? KLUNK: Yeah, but we better hadn't waste much time. The story of Abraham is well known in Christianity, Islam and Judaism. According to the texts, God calls upon Abraham from his home in Mesopotamia to journey to the promised land with his family. 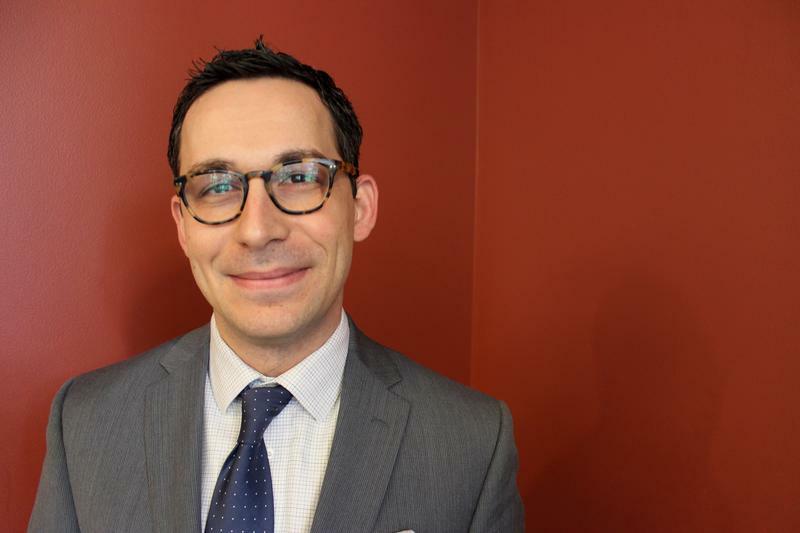 That story inspired Pittsburgh writer Jacob Bacharach's second novel. "The Doorposts of Your House and on Your Gates" is a modern retelling of Abraham's tale set in Pittsburgh and western Pennsylvania. 90.5 WESA’s Virginia Alvino Young spoke with Bacharach about his new book. Their conversation has been edited for length and clarity. 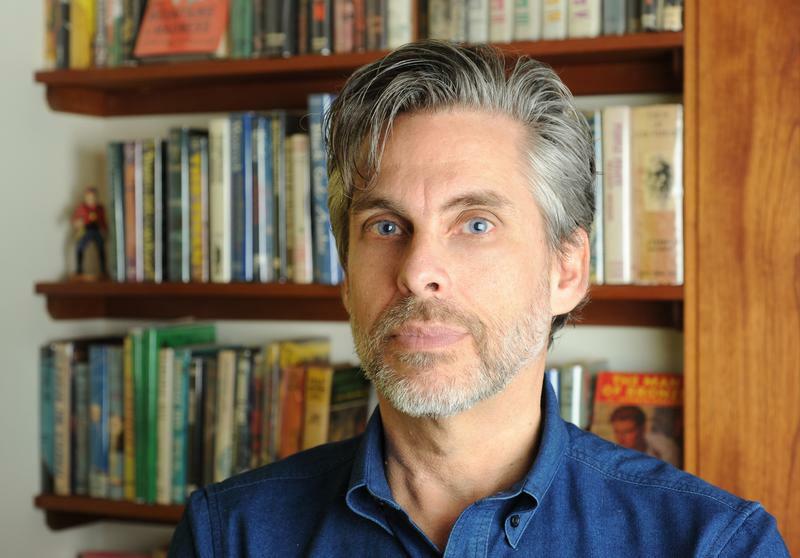 Author Michael Chabon’s literary career began here in Pittsburgh. It’s the place where he spent part of his childhood and college years, and it was the setting for his first two novels, "The Mysteries of Pittsburgh" and "Wonder Boys." Now, Chabon returns to the city Dec. 9 to discuss his new novel "Moonglow" at an event hosted by the University of Pittsburgh at the Carnegie Music Hall in Oakland. 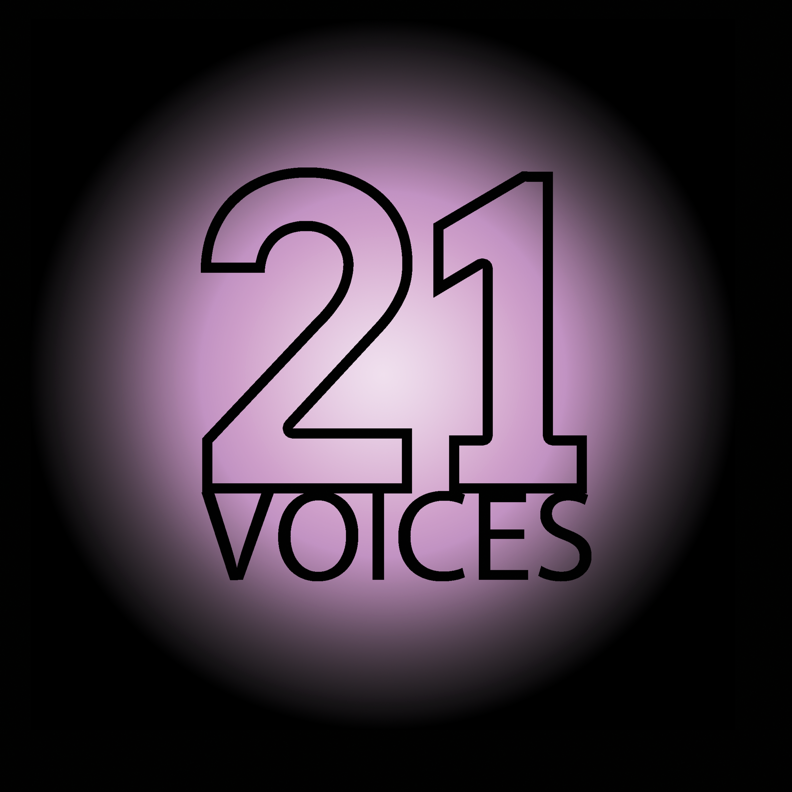 Moonglow’s narrator shares a name with the book’s author, and he has a comparable life story. The documentary short film, "21 Voices: Touched by Alzheimer's," currently in pre-production, is committed to shining a light on the devastating emotional and financial effects of this growing epidemic, The film will feature interviews with 21 people impacted by the illness including the family of our guest Joe Massaro III whose father Joseph Massaro Jr. died from Alzheimer's on December 30, 2015. Researchers at the University of Pittsburgh have helped develop a diagnostic blood test for Alzheimer ’s, which could make it easier and cheaper to detect the disease. Pitt collaborated with researchers at the Center for Biomedicine in Italy and the University of Chile. Neurology professor Oscar Lopez said the test will help doctors differentiate between Alzheimer’s and other forms of dementia.